The Products Our Team Swears by This Summer | Valet. We're always receiving new products here at Valet. HQ. We're also alpha consumers and grooming geeks, so when we really love a product, it's because we've done our research and tried pretty much everything on the market. 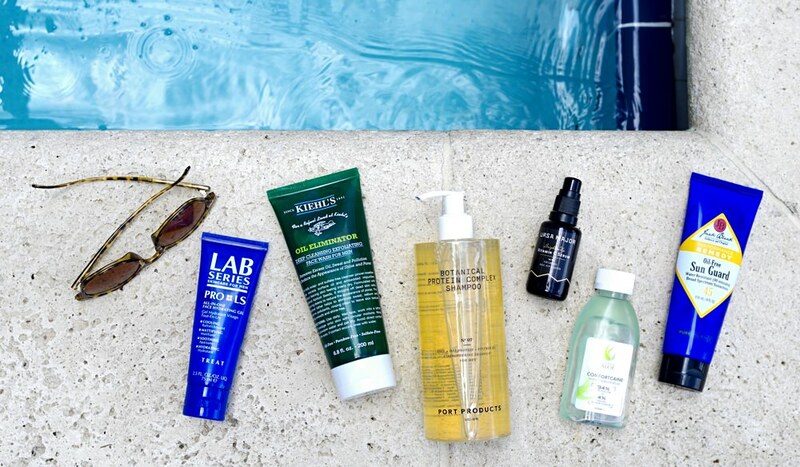 Here are the six products our team is swearing by this summer—from soothing skin hydrators and an ethically made shampoo that does wonders for your hair to a sunblock that will actually stay on your skin, no matter how active you are. "Who wants to slather on a gloppy lotion when it's hot and muggy out? But I still need a daily moisturizer after shaving. And this gel hydrator is both cooling and quick absorbing. Somehow it sops up oil throughout the day so your face never looks shiny or greasy—no matter how hot it gets out." "All the sweat and chlorine tends to damage my hair each summer. But this new sulfate- and paraben-free shampoo from one of my favorite brands is formulated with a blend of botanical extracts specifically designed to fortify and strengthen damaged or thinning hair. Plus, the tea tree, chamomile and mint not only wakes me up each morning but it also helps maintain a healthy scalp." "You gotta exfoliate during the summer or all that dirt and sweat will build up and cause breakouts. This face wash has crushed apricot seeds to help smooth skin and clear out pores. Unlike your average scrub, this lathers up to clean skin while removing excess oil." "My skin tends to get red and rough over the summer, but this light serum—which can double as a light morning moisturizer—calmed any irritation and evened out my skin tone in about a week. Now I use it daily and layer it under my sunblock when I'm heading outside." "I'll be honest, it takes some effort to rub in Jack Black's Sun Guard, but this broad-spectrum sunscreen is the only one that I've found to really last despite long bouts of swimming and sweating. You won't burn or get it dripping into your eyes, and that alone is worth the price." "When I'm not as diligent about the sunscreen, this soothing aloe balm also has Lidocaine to help numb the sting. It's also good to help stop bug bites from itching." Keep your skin in top condition this summer with these beneficial lotions. Repair winter's damage and prepare yourself for the warmer weather and prolonged sun exposure.